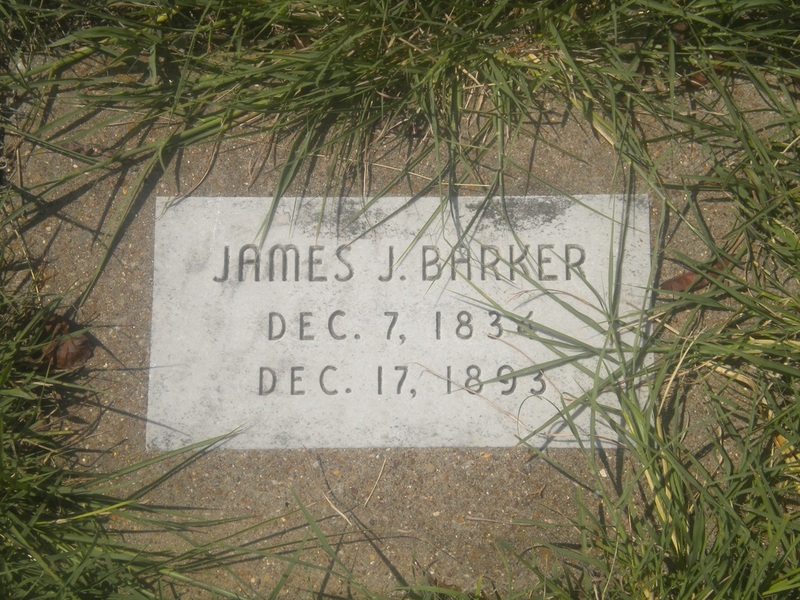 James Jasper Barker, born December 7, 1834 in Lafayette County, Missouri, brother of Anzaline (Barker) Godfrey, traveled with several families, including the Veach family, from Missouri to Arkansas. Together the families journeyed by wagon train and arrived in the territory of Parker County in December of 1853. James J. Barker married Ann Eliza Veach, of Brown County, Illinois, born June 14, 1841. The couple were married on December 19, 1854 in the territory of Parker County where they created their pioneer homestead. James J. Barker was granted a quarter section of land, (160 acres), in the Wright Community, from the state of Texas, on a large ridge along Upper Denton Road eleven miles northeast of Weatherford, in the territory of Parker County. He built a log cabin home for his family, established a working farm, and surrounded it with native stone fences. Comanche Indian raids on Parker County pioneer homesteads became frequent between the years 1858 -1872. The young Ann Eliza (Veach) Barker had to endure many bitter hardships as a pioneer wife and mother. One such hardship was that of solely defending her family homestead from Comanche Indian raids. One terrifying incident occurred while she was alone with her mother, attending her two young babies. James J. Barker and other local pioneer settlers heard the news that Comanche Indians were planning a raid on their settlements. James J. Barker, having himself been kidnapped and almost scalped by the Comanche Indians, feared their wrath upon the settlements. James, along with other settlers of the community, left to intercept the Comanches while Ann was left to defend their homestead. As a last resort, James J. Barker agreed, if an Indian raid was made on their homestead, Ann, the two babies, and her mother would escape to “Ward’s property along the Upper Denton Road. Mr. Ward, a former Confederate officer in the American Civil War, refuge and protection for the pioneer women of the Wright Community. After dusk, Ann mother to “Ward’s Fort” with only minutes to spare. Ann Eliza Barker and her mother soon witnessed their log cabin ablaze with fire, and Comanche Indians dancing wildly around the flames. 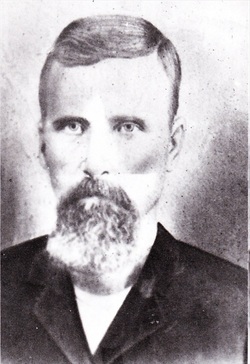 In 1862, James Jasper Barker served the side of the Confederacy by enlisting as a Private in the 19th Texas Cavalry Regiment (Buford’s) Company E under the command of Captain R.E. [sic (Sanders?)]. His muster out of military service date was May 26, 1865. James and Ann Eliza (Veach) Barker had twelve children. The 1870 United States Federal Census shows the family living in Precinct 1, the Wright Community, Parker County, Texas. In 1874, the Barker family became active charter members of Godfrey’s Chapel Methodist Church. The 1880 United States Federal Census has the James Jasper Barker family living in Precinct 2, Parker County, Texas. American Civil War veteran and pioneer farmer, James Jasper Barker, died December 17, 1893. Buried beside him, his wife, Ann Eliza (Veach) Barker, who died January 8, 1918. The Barker’s and three of their children Marion Barker (1867-1909) and his daughter Ethel Lee Barker (1894-1900), Frank Barker (1879-1932), wife Emma Wynunee (Kendrick) Barker (1877-1853), and Joseph Jasper Barker (1890-1899), are buried in the Barker family plot at Clark Cemetery.